Representatives of various opposition forces in Syria told Sputnik on Friday that they consider the country's former Vice President Farouk Sharaa to be a good candidate to run the country during the transitional period. GENEVA (Sputnik) — So far, the formation of a transitional governing body in Syria has been the main stumbling block for all the diplomatic forces to settle the conflict, because the Syrian sides have polar views on the potential role of current President Bashar Assad in it. The opposition insists Assad "must go" at the very beginning of the transitional period, while the government cannot accept it and calls it a precondition for the direct talks. "Yes, he [Sharaa] can play a positive role in the transition. It could be a compromise to prevent any political, administrative and security vacuum in Syria by leading the transitional period as the president of the full-fledged Transitional Governing Body (TGB) in Syria," Abdul Hakim Bashar, the representative of the Kurdish National Council in the Syrian Coalition, told Sputnik. According to Firas Khalidi, member of the unified Syrian opposition delegation in Geneva from the Cairo platform, Sharaa could be "a bridge" between the Assad's government and "a new time." "I think nobody would oppose the candidacy of Farouk Sharaa… I think he can be the TGB president. This idea is close to my views on how we can find a solution, a mix between the regime and the opposition," Khalidi told Sputnik. Head of the Council of the Syrian Tribes Salem Meslet also gave a positive assessment of Sharaa's candidacy. "It would be a replacement that leads to an appropriate solution, any change that stops the bloodshed and saves lives in Syria would be good for all Syrians, as long as it remains within the principles and will of the Syrian people," Meslet told Sputnik. 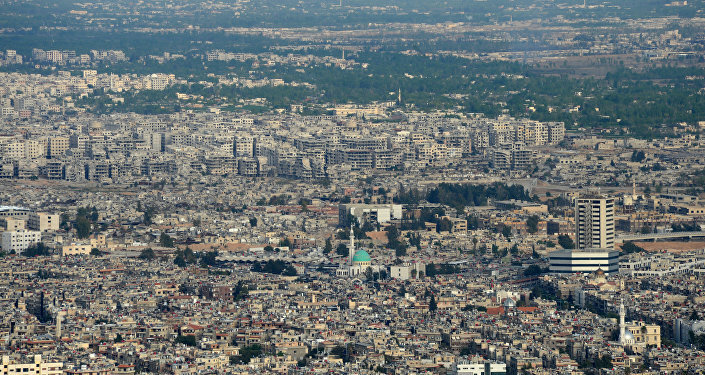 Damascus side, apparently, has a cautious view on Sharaa. "He has no political weight. The opposition only wants to remove president Assad," a political adviser at the Ministry of Information of Syria, Ali Ahmad, told Sputnik. "He is almost 80 years old … I do not think these rumors are serious," a high-ranking Syrian diplomat said, adding "there is no transitional period and no ruler in Syria but for president Assad." Sharaa will open and, possibly, run the Syrian National Dialogue Congress in Sochi, organized by Russia and slated for the beginning of 2018, a Sputnik correspondent learned from its sources earlier. The aim of the Syrian National Dialogue Congress is to push Syria to a stage of a political settlement of the crisis after the recent victories over terrorists in the country and successes with de-escalation zones implementation. The Congress is expected to bring together nearly 1,500 representatives of various political forces and components of Syrian society, both opposition and pro-governmental parties, external opposition movements, ethnic and religious groups (Muslims, Christians, Arabs, Kurds, Turkmans, Assyrians, Circassians, Armenians, tribes), civil society organizations (such as the Syrian Arab Red Crescent) and even the representatives of the de-escalation zones population. A Syrian-led political process, as per UNSC Resolution 2254, implies establishment of a "credible, inclusive and non-sectarian" transitional governance and drafting of a new constitution for the country and holding free and fair elections within 18 months under the UN supervision. The Sochi Congress seeks to address constitution and elections issues closely. They are unavoidably related to and parallel with the period of a political transition in country.